The Black Pirate is a 1926 silent adventure film shot entirely in two-color Technicolor about an adventurer and a “company” of pirates. 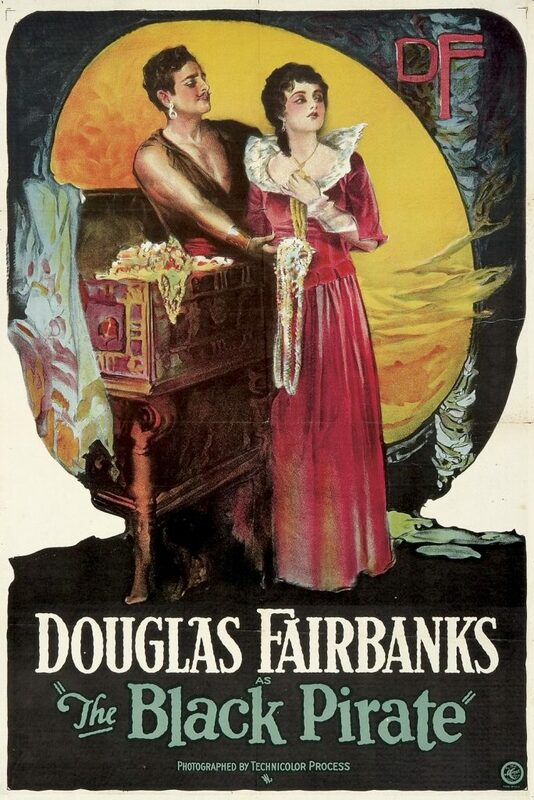 It stars Douglas Fairbanks, Donald Crisp, Sam De Grasse, and Billie Dove. The Black Pirate was the third feature to be filmed in an early two-tone Technicolor process that had been first introduced in the 1922 feature Toll of the Sea. This reproduces a limited but pleasing range of colors. Ben-Hur— filmed around the same time — contains two-tone sequences but is shot primarily in black-and-white with tinting and toning in many scenes.